Jacob Grant may no longer be a boy, having recently turned 18, but he is Just A Gent. So what else is a young man from Newcastle with an in-demand talent for his electronic production wizardry supposed to do than head out on a national tour? We decided to pop a series of eleven questions to the up and comer to find out a little more about what makes him tick. 1. Name : Just A Gent. 2. Where are you based? Newcastle, Australia. 3. How did you get your start in music? I started the exact same way as Flume, from a Nutri-Grain box program, My dad eventually let me use his audio workstation that he recorded his guitar in and it escalated from there. 4. Tell us a little bit about your sound and how it developed. I like to focus on the melodic aspects of music when producing. What I try to do is fuse together different sounds and ideas to create things that are unique. 5. Who have been your musical influences? A lot of my influences come from ’80s music (chord progressions etc). I love Seven Lions, Daft Punk, Justice and Skrillex. They have had a huge impact in influencing my sound. 6. What are your favourite songs of all time? Silverchair ‘Across The Night’, Eurythmics ‘Sweet Dreams’. 7. Give us a little fun fact about yourself that people might not know. I am a gamer. 8. What’s the best advice you’ve been given in your career? Be yourself. 9. Tell us about your latest release. My latest release was a remix for Alison Wonderland’s smash hit ‘U Don’t Know’. I took the track and gave it what I like to call a ‘Lovetrap refresh’! 10. What do your future plans involve? Hopefully changing the electronic music world! 11. Where can our audience catch you live? I just embarked on my Just Turned 18 tour! 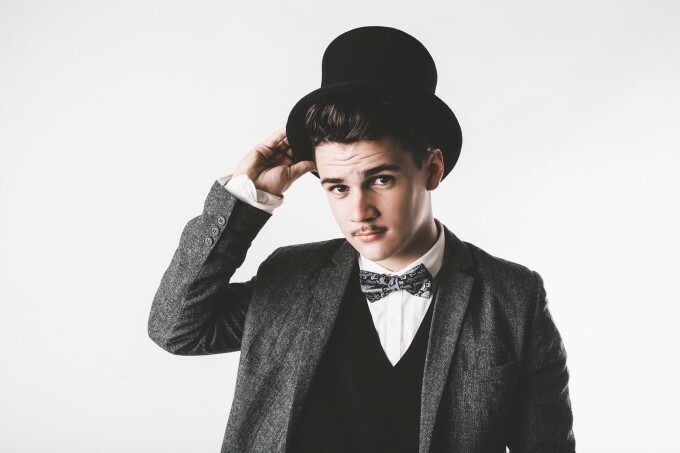 Just A Gent also appears at Groovin The Moo in Maitland on May 09.